In my presentation I’ll be demonstrating how to use The Guardian Project‘s mobile device application ChatSecure (Android) (iOS), which is a tool for people wanting to keep their text-based conversations private and secure. To demonstrate at #TA3M, I will be using my HTC cell phone and a Windows laptop. My phone will be pre-configured to use ChatSecure, but I’ll install and configure Pidgin and pidgin-otr on my laptop since I’ll have access to a projector. I’ll start the presentation by running through this blog post and its screenshots, but will integrate the Pidgin demonstration once I get to the contact management and OTR initialization screenshots. Please comment on this post or Tweet at me if you have any feedback. This blog post (ChatSecure Tutorial for #TA3M by Christopher Sheats) is licensed under a Creative Commons Attribution 3.0 Unported License. You are free to copy and remix it without restriction. Install ChatSecure. I installed it from the Google Play Store. Set a strong password that you can remember. This password is set to protect access to ChatSecure, in case your phone is stolen or compromised. This is an added layer of protection so that adversaries cannot access your past communications or pretend to be you and have conversations with your contacts. Also keep in mind that when using Off The Record (OTR) messaging, Google and the NSA will not be able to have the information contained in your conversation, since it will be encrypted. XMPP and ZeroConf are alternative messaging architectures that may allow you greater privacy if used correctly. Be sure to research what chat protocol is best for you and the risks that you face. Connecting to Google via the Tor anonymity network is recommended to protect your physical location’s metadata and for ensuring private transit. However, be aware that if you’re using a cell phone, your cell service provider knows where you are, and if the NSA needed to find out where you were during an OTR conversation, could compare the time stamps that Google and your cell service provider have. Selecting this check box will bring up a dialogue to install Orbot (Android) if you do not already have it installed. Read and click through the dialogue. If you have not rooted your Android, you will not be able to use Orbot’s advanced functionality. But for the purpose of using ChatSecure and other applications designed to work with Orbot, you are going to be able to utilize the Tor network. It looks like Orbot hasn’t been updated to advertise ChatSecure by its new name–formerly Gibberbot. Press and hold the ‘power’ icon in the center to start your Tor connection. Orbot will begin connecting to the Tor network automatically. Now you’re connected to Tor and your ChatSecure application will route its communication through Tor. Sign into your Google account (similar to Google Hangouts). Select the three-vertical-box icon to access Settings. Require encryption for your ChatSecure/OTR conversations. You may need to add a contact. Enter the email or account address of the person whom you wish to converse with. Select the person whom you wish to converse with. Say hello! Keep in mind that the padlock at the top of the screen is not locked. This “hello” will be in cleartext. Select the padlock to start the encryption (OTR) initialization process. The person with whom you are chatting with must have an OTR-compatible client, ideally the same version of the same software, or at least up-to-date OTR-compatible application, like Pidgin for PC, Mac, and Linux. Your ChatSecure conversation is now encrypted using OTR; however, because the question mark in the padlock is yellow, it is indicating that the person with whom you are chatting with is not verified. Select the padlock again to Verify the person (ID) whom you are chatting with. Ideally you will select Question in order to answer a question for which you and the person whom you are privately conversing with know the answer to. This helps verify that you’re talking to the right person. You should also verify the ‘public key fingerprint‘. For the purpose and ease-of-use for this presentation, I manually approved the identity. Verify the prints!!! and inform the person with whom you’re speaking of yours!!! Now that you have verified the identity of the person with whom you are conversing, ChatSecure changed the padlock icon from a yellow question mark to a purple check. Notice that because OTR (end-to-end encryption) is functioning and the person on the other end is verified, the text that is sent and received from now on also uses the purple padlock. By default, ChatSecure will not store your conversation on your mobile device. So when you close a chat window and start a new session, you will have no chat history. This is an example of what “information” Google and the NSA see from your OTR conversation. Privacy rules! DISCLAIMER: The above public key finger prints are not my actual prints. These screenshots are only for the purposes of my demonstration. Tomb is an excellent command line tool for maintaining encrypted files. Tomb files can be stored on an Internet-facing server so that they can be accessed from anywhere in the world using any SSH client. An adversary would have to compromise said server, gain administrative privileges, and brute force the Tombs (if they have the key files) in order to recover the contents of said Tombs. Someone that is more “at risk” than me should invoke an air gap between the Internet and their Tombs. Managing your Tomb’s key files is a different matter that I’ll discuss later. 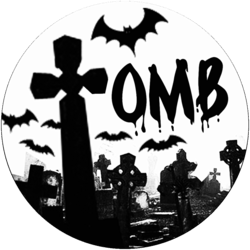 Download Tomb onto your Ubuntu server. Download the SHA hash/checksum file. View the Tomb tar file’s SHA hash. View the Tomb tar file’s SHA checksum and compare it to the above hash–if they’re the same, continue with installation. Unzip the Tomb tar file. Change into the newly created Tomb Directory. Check that Tomb installed by checking its version. Please refer to the GNU Public License for more details. Be sure to “shred” your Tombs or Tomb key files if you ever want to move them or delete them. If you’re moving your files, copy them first then shred the unwanted files. Do not simply move them. This was said by Henry L. Stimson in 1929 in support of the US State Department’s defunding of the Black Chamber program that was used to decipher foreign ambassador communications. At that time, Stinson was the Secretary of State under President William Howard Taft. Stinson’s opinion, however, is said to have changed while he served as the Secretary of War under President Herbert Hoover and President Franklin D. Roosevelt, in which the United States government relied heavily on the enemy’s decrypted communications during wartime. Mass surveillance is a crime against people, not just the American people. The people did not ask for it, not even the special interests behind the development of the Patriot Act. Secret mass surveillance and secret laws are instituted and accepted by people in power, to gain and maintain power, which are acts that are illegitimate of a developing democracy. They are illegitimate acts of a country that developed the Internet. Civilly speaking, cryptographically encrypting information before transmission is the same as licking and sealing a letter before mailing it. It is the same as closing a clear glass door on a telephone booth before having a private conversation. It is the same as putting on clothes to protect things expected to remain private. I expect that only entities that privately sign digital certificates that create the foundation for private chats, private socializing, and secure transactions on the internet can decrypt my information. It should be illegal for entities beyond the original signer of public key infrastructure certificates to have a copy of the private key in such a way that allows said entity to view or record the decrypted content that is expected to remain private between two specific parties. It should also be illegal for any entity to attempt to break or subvert encryption mechanisms on common-carrier infrastructure as long as that data is being transmitted or being stored on American soil, no matter the nationality of the person transmitting their encrypted internet content. It is time for the United States to learn from its mistakes and emerge as a civil liberties leader. What I would like to do is identify other leaders throughout the United States that want to pass a shared city law that makes illegal the above acts. We should all vote for and approve these laws in tandem to reduce the risk of federal or state legal threats. Cities need to come together to protect local internet infrastructure. Governance representatives are failing to protect the nature of our constitutional protections in law and debate. They are failing to understand the importance of the Internet. Federal representatives are literally working backwards at times, with the Patriot Act, CISPA, PIPA, and the TPP as perfect examples. It is time to work from the ground up and enact local laws that affect local internet infrastructure. We cannot let special interest groups, that bribe our representatives, write our laws for us. The interest of the people needs to be voiced through local law. Let us tell state and federal government that it is not okay to subvert public law with secret law, and that mass surveillance cannot be tolerated, period. Law enforcement has worked, successfully, for hundreds of years without mass surveillance. The city laws that I am proposing do not inhibit the normal procedure of law enforcement to acquire a warrant, through justified evidence, to obtain private information about specific individuals to prevent or punish crime. In addition to hosting DNS root servers and the Seattle Internet Exchange, the Westin datacenter connects us to billions of un-Americans on the other side of the Pacific Ocean. Many other cities throughout the United States host similar infrastructure. These communication points are ideal for the placement of unethical surveillance equipment, and we must make this act illegal in our cities. Let us put pressure on our state by protecting local resources, the technology that ensures the security of our online communications, and the integrity of our local businesses. From https://www.aclu.org/sites/default/files/assets/lavabit_brief_of_us.pdf, it is clear that sometimes our founding legal frameworks are not explicit. Information privacy is the claim of individuals to determine what information about them is disclosed to others and encompasses the collection, maintenance, and use of identifiable information. Privacy is an important value in a democratic society. For individuals, it enhances their sense of autonomy and dignity by permitting them to influence what others know about them. For associations, privacy enhances the ability of individuals to function collectively by permitting the association to keep deliberations and membership and other activities confidential. For society, privacy fosters individual and associational contributions to society, promotes diversity, and limits undesirable conduct and abuse of authority by government and other institutions. Privacy is not an absolute right. It must be balanced with competing values and interests, including First Amendment rights, law enforcement interests, and business or economic interests in information. The following Code of Information Rights and Responsibilities attempts to strike an appropriate balance between privacy and competing interests, in an environment shaped be technological breakthroughs in the ability of organizations to collect and disseminate personal information. New social and cultural values and developments regarding personal information. Two general principles apply to all of the provisions of the Code of Information Rights and Responsibilities. First, an individual is entitled to greater protection and due process when information is used to make determinations about his or her rights, benefits or opportunities. Second, the protection of privacy must be interpreted consistently with First Amendment principles. Resolving the inherent tensions between the values of privacy and the First Amendment must take place on a case-by-case basis. The scope of the Code of Information Rights and Responsibilities is limited to individual and associational privacy as defined above, and does not cover government and corporate interests in secrecy. It addresses how activities of information keepers and processors involving the collection, maintenance, and use of personal information should be evaluated when privacy interests overlap or conflict with other interests, values, or significant community needs. There should be limits on the ability of information keepers and processors to collect personal information. Information should only be collected when relevant, necessary, and socially acceptable. Information should be collected directly from the individual whenever possible. When not collecting information directly from the individual, notice, access, correction, and other rights should be provided if the information is used to determine rights, benefits, and opportunities. Individuals providing information to an information keeper and processor have the right to receive, at the time that information is provided, a notice of information practices describing how the information will be used, maintained, and disclosed. Information keepers and processors must provide a copy of notice of information practices upon request. There should be no secret systems containing personal information. Individuals have a responsibility to make informed choices about how information about them is to be used. Individuals have the right to see and have a copy of any information about themselves maintained by others, consistent with the First Amendment and with other important public and private policy interests. Individuals have the right to seek correction of information that is in error. When a correction is made, the individual may require that copies of the corrected information be provided to all previous recipients. Where this is a disagreement about the accuracy of information, the individual may include along with the disputed information a statement of disagreement. Information may only be used for a purpose that is identified and described at the time that the information is collected. Other uses may be permitted only if they are not inconsistent with the original understanding. Information keepers and processors must take appropriate steps to assure the accuracy, completeness, timeliness, and security of the information. Information keepers and processors must devote adequate resources to these functions. Rules about the collection, maintenance, use, and disclosure of information should be enforced through suitable mechanisms, such as administrative processes, professional standards, civil actions, criminal penalties, government or private ombudsmen, and other means. There is a need for an independent federal entity to conduct privacy oversight and policy-making activities. Information keepers and processors and others should be encouraged to explore technical means to protect privacy. There should be an exploration of other means to promote self-determination in the use of personal information, including proprietary rights and dual control mechanisms. The creation of information trustees who maintain personal data on behalf of diverse information keepers and processors should be considered. There is a need to explore the rights and responsibilities of individuals and information keepers and processors when changes in the use and disclosure of information are developed after the time of collection. Together we must begin drafting a law that can be shared by the people, city governance, and our local businesses. Together we must approve these measures and begin putting a stop to mass surveillance on any and all people, not just Americans, while also demonstrating our right to privacy.